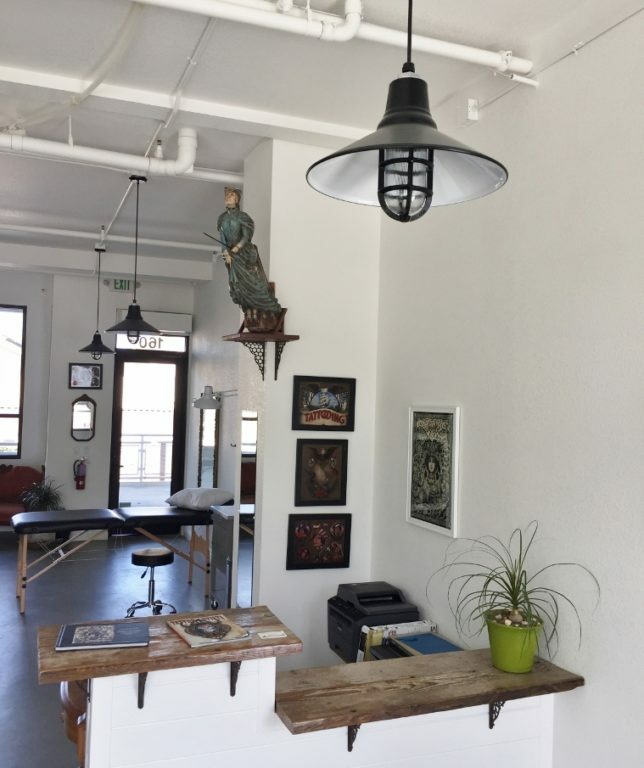 With a degree in fine arts, Aaron brings a talented hand to his work along with a long-standing love of the sea. 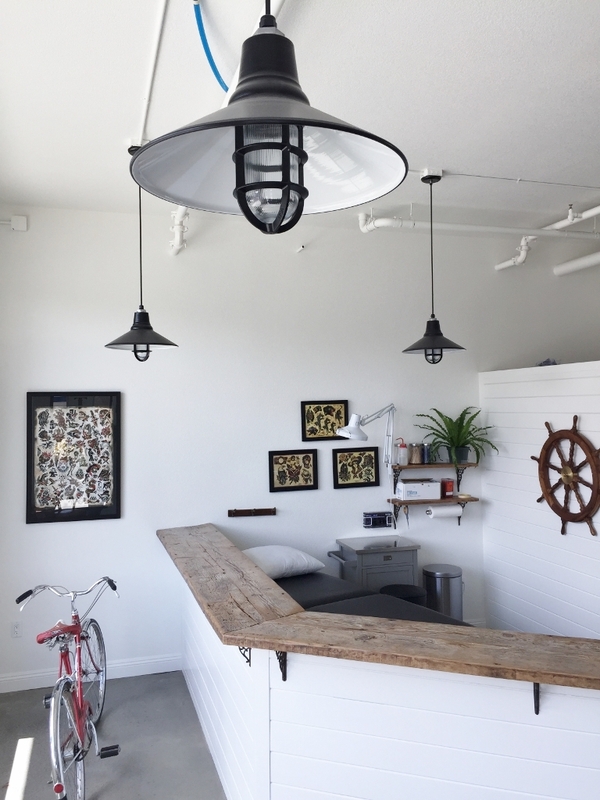 The couple wanted to imbue a nautical theme for their new shop without going overboard. 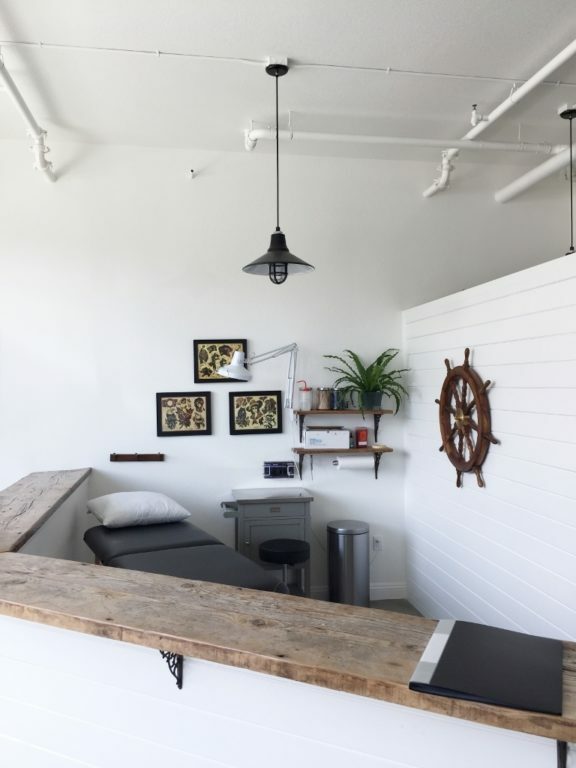 They installed shiplap on the front counter, reclaimed redwood counter tops, and added nautical touches like a ship’s wheel and figurehead on the walls. 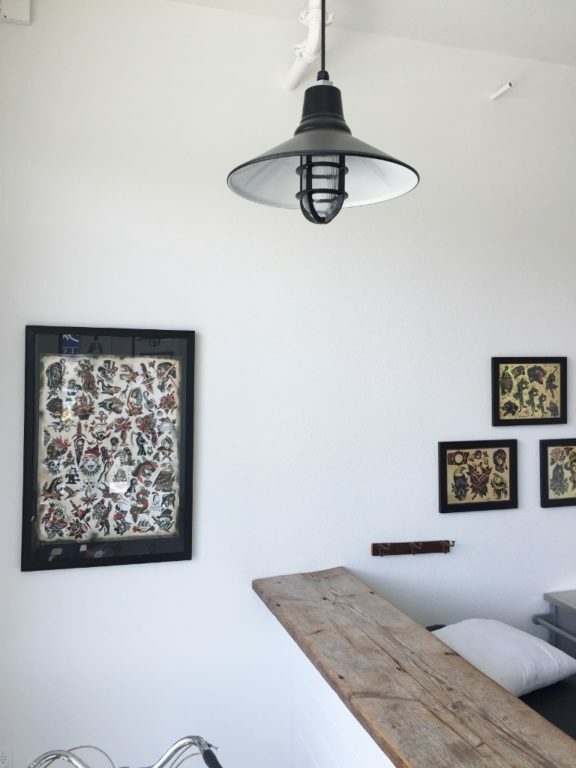 When it came to lighting the new space, Aaron notes that his number one priority was buying American-made lights. 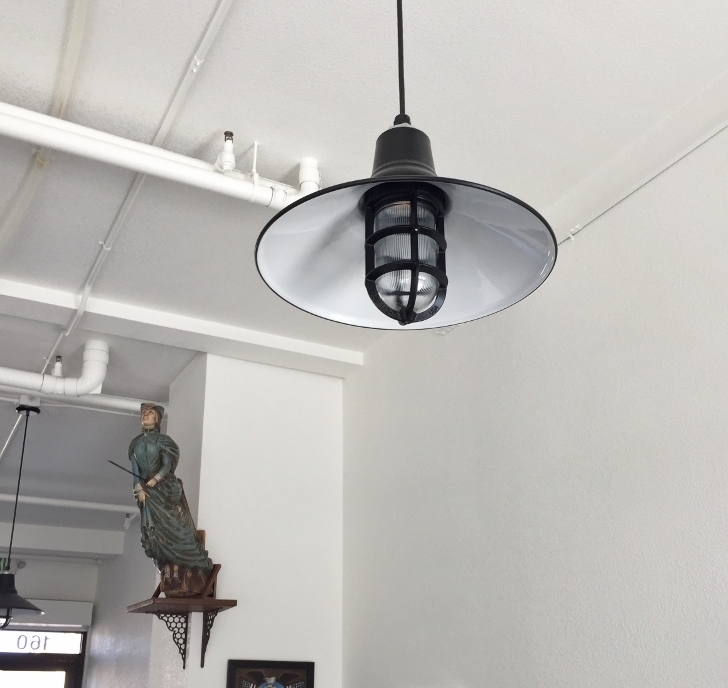 The couple customized their new LED pendant lights with 16″ shades, a Black finish, and standard black cords. 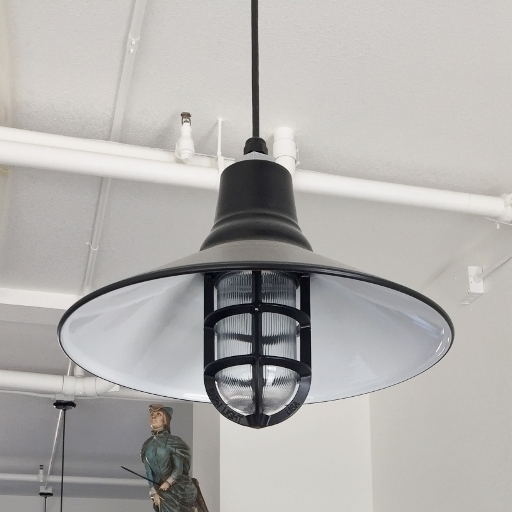 They also selected the heavy-duty cast guard, ribbed glass, and the 3500K neutral white color temperature. “These are reminiscent of when I was in the Navy working in the hull of the ship’s engine room,” Aaron recalls. 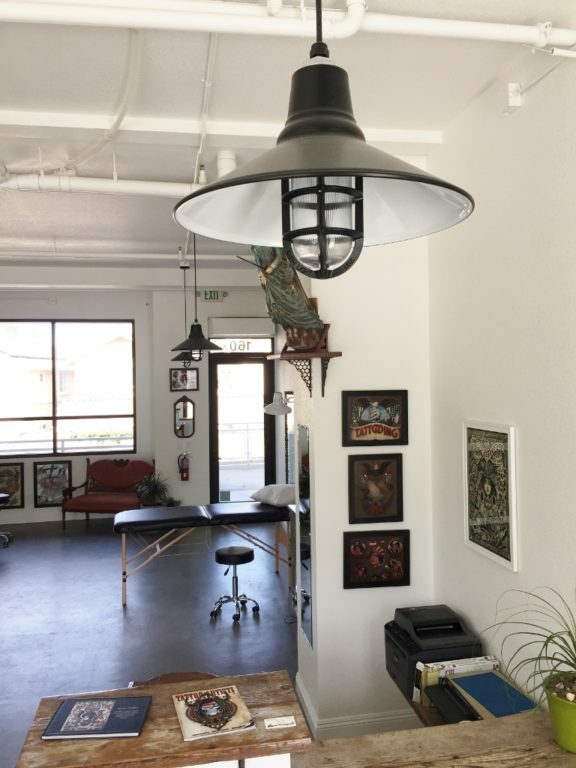 “I knew I wanted a guard on the bulb for the full maritime effect.” The 10 pendants bring warm light throughout the shop and complement the colorful artwork on the walls.